Well, it's that time of year again--the time when most of the media outlets on the planet recap what they've done over the last twelve months. Not wanting to be left behind, I present to you now the ten most popular posts from the Prairie Rim Images blog, based on page views accrued during 2012. As expected, "Old Glass" and DIY fix-it articles make up the entire list. If you're a recent reader, this is your chance to see what all the hype is about. 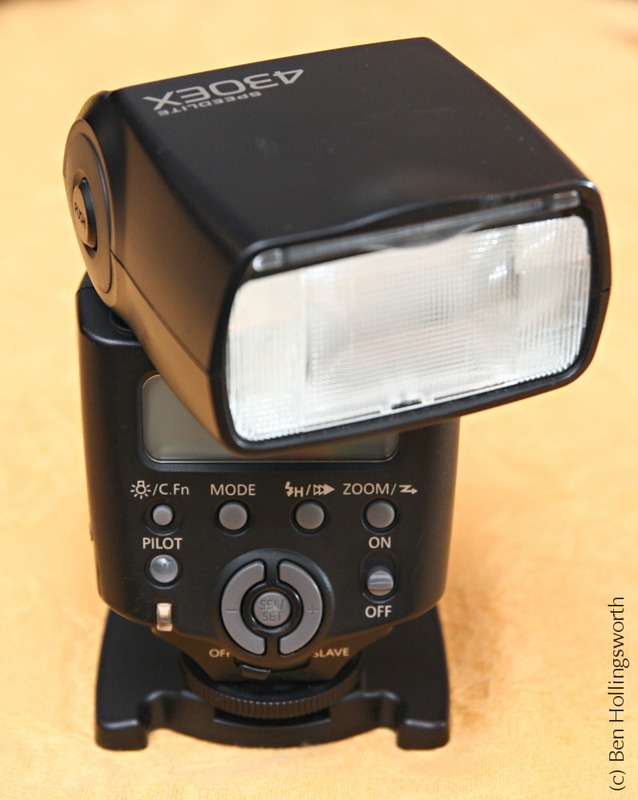 This post outlines a simple hack to all the flash head on a Canon 430EX to rotate nearly a full 360 degrees, up from the 270 degrees that the factory intended. Incidentally, my 430EX bit the dust a few months ago, presumably due to a blown flash tube. I still have it, and intend to fix it myself when time permits. While not one of the top 10, you can read about that saga in another post. My 7D body started locking up due to a loose screw on the main circuit board. Research tells me that I'm not the first person to have this happen. Canon repaired the problem quickly, though. This post was written mid-year, and climbed into the top ten with only half a year's traffic. As part of my "Old Glass" series, I laid some ground work with an article describing the differences between the pre-AI, AI, and AI-S designations of Nikon's manual focus lenses. These differences are more important to those with Nikon bodies than they are to those of us who merely shoot Nikkor glass using an adapter. The introductory post to my "Old Glass" series is always a crowd favorite. If you've never used a lens that couldn't focus on its own--especially on a newer, digital body of a different make--then this post is the first one you should read before heading down that path. It's a fun road, especially if you have a fondness for old things. Yes, Virginia, my "Old Glass" series consistently dominates the list of most popular posts on the Prairie Rim Images blog. This article describes a lovely sleeper of a lens. I'm rather fond of Yashica glass, and this short telephoto zoom is one of the least expensive and most frequently used lenses in my collection. Digging up info on this rare bird was no easy task. While written much later, this post really acts as "part 2" of the manual focus lens introduction (#7 above). If you plan on using manual focus glass on a body that was designed strictly for autofocus, upgrading your focusing screen is really a must. Knowing my fondness for old cameras, a co-worker loaned me this hefty lens in a try-before-you-buy arrangement. I opted not to buy it, but I did put it through its paces and wrote up my findings in this post. Cosmetically, it's a thing of beauty, but I found it to be too soft and heavy to get much use. I've got two rather nice macro lenses in my collection. The longer of the two is this first-generation Tamron 90mm. In addition to macro work, it's a great complement to my Canon 10-22mm ultra-wide when travelling light to photo-friendly outings. It really only has one noteworthy drawback when used on DSLR's. I may be fond of Yashicas, but I've got an honest-to-goodness fetish for Pentax Takumar lenses. The Super-Tak 50/1.4 was the first manual focus lens I bought, and it's still one of my favorites today. The optical quality and cosmetic style of the 1960's and 1970's Takumar family are both top notch. Consequently, I've got more than a few of these beauties. A DIY fix-it article for an Old Glass rock star? Somebody slap me! Of course this article sits at the top of the list. This lens is my favorite macro lens for those times when tack-sharp image quality is paramount. It, too, has one annoying flaw: the internal grease tends to leak down onto the aperture blades, causing them to stick open. Fortunately, cleaning them is straightforward. I should know; I've done it three times so far. Now, if you're looking for the ten most popular posts written in 2012, the list is somewhat different. This is because a large percentage of my traffic comes from search engines, and the older pages are more well known. 7. Why format your camera's memory card? If you'd like to compare these lists against that of 2011, please read that end-of-year post. Spoiler alert: the top two winners are unchanged. Where do you, dear readers, live? 40% of you live in the USA. 6% of you live in Germany, followed by the UK (5%), Canada (4%), Indonesia (3%), and France (3%). Russia, Spain, Italy, and Australia round out the top ten with about 2% each. China may or may not be the #3 country on that list, but it's difficult to tell, as their government-controlled Internet plays havoc on my web site analytics. So which is your personal favorite post from the Prairie Rim Images blog? It need not have been written this year. Is it even on this list? Do tell in the comments below.